There is a certain tendency to talk about the past as if it were a better place, as if relics automatically speak of our ‘glorious history.’ Yet, occasionally, truth breaks through to remind us that, speaking of the past in this country, it was for many a place of suffering, of want and of violence – an inescapable but far less palatable historical reality. 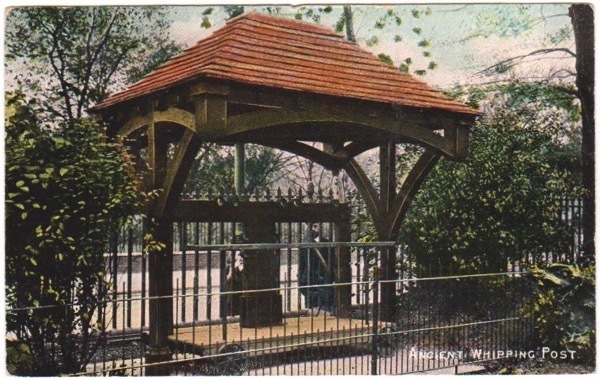 Thus the emphasis of retelling history can often tend towards the celebratory and so, when the churchyard of St John-at-Hackney was handsomely restored with Lottery funds in recent years, the seventeenth century whipping post was conveniently consigned to the nearby backyard of Groundwork, the organisation which supervised the renovations, where it has been rotting ever since. Historian Sean Gubbins of Walk Hackney drew my attention to this neglected artefact and took me there to see it. 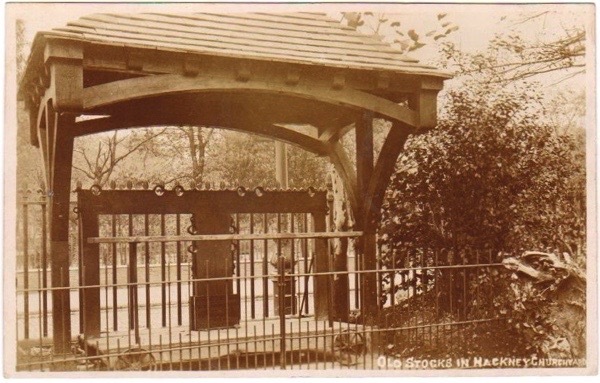 He showed me a photograph of it standing in the churchyard in 1919 and confirmed that it had decayed significantly in the last couple of years. Apparently, Hackney Council owns the whipping post but Sean can find no-one who wants to take responsibility for it and many would prefer if it simply rotted away. 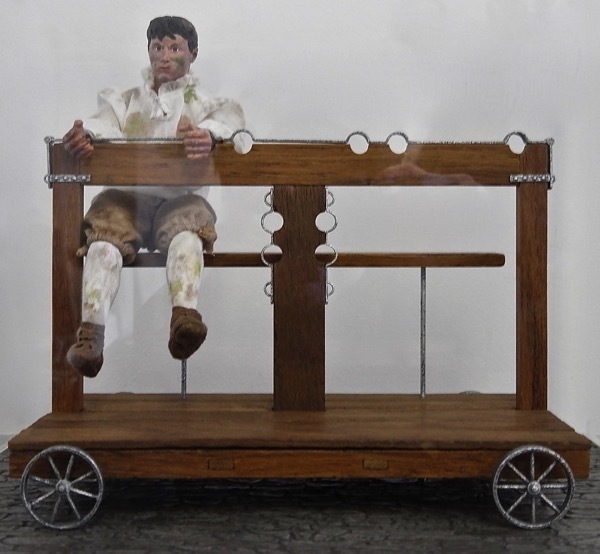 In former centuries, the stocks, the whipping post and the pillory were essential elements of social control, but today these fearsome objects are treated with indifference or merely as subjects of ghoulish humour. Since they became defunct, they have acquired a phoney innocence as comic sideshows at school fetes where pupils can toss wet sponges at popular teachers to raise money for a worthy cause. 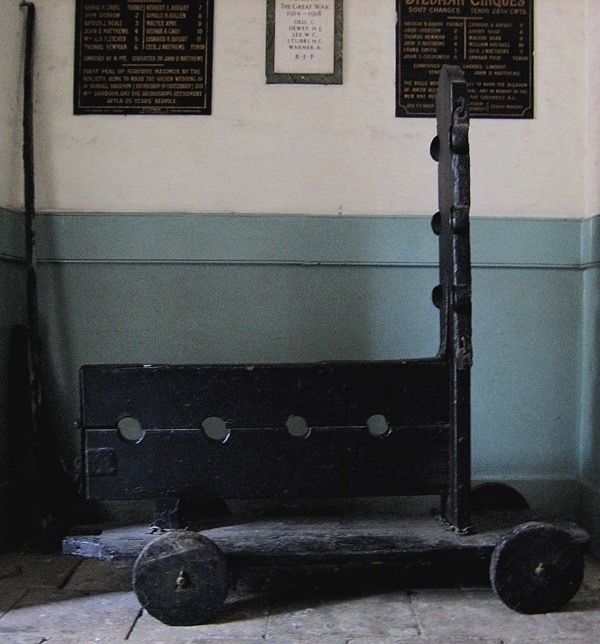 Yet the reality is that these instruments of violence and public humiliation were used to subjugate those at the margins of society – to punish the poor for petty thefts that might be as small as a loaf of bread, or to discourage vagrants, or to chasten prostitutes, or to drive homeless people out of the parish, or to subdue the mentally ill, or to penalise homosexuals, or to demean religious dissenters, or to intimidate immigrants into subservience, or against anyone at all who was considered socially unacceptable according to the prejudices of the day. We need to remember this grim history, which reminds us that the struggle towards greater social equality and tolerance of difference in this country was a hard one, only achieved by those who resisted the culture of obedience enforced by state-sanctioned violence and enacted through instruments such as this whipping post. So aptly written. Thank you for summing up. A grim reminder of the dark side of the past. 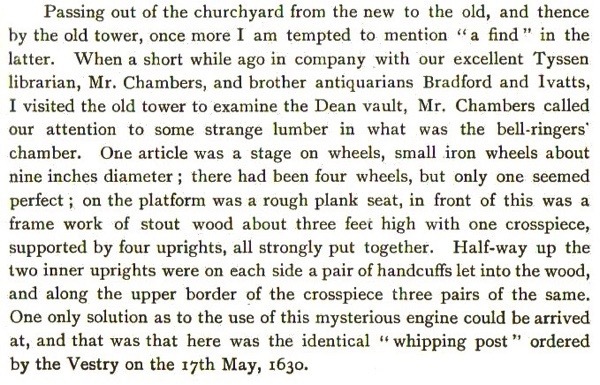 The last ‘ flogging ‘ in an English jail was in 1962. 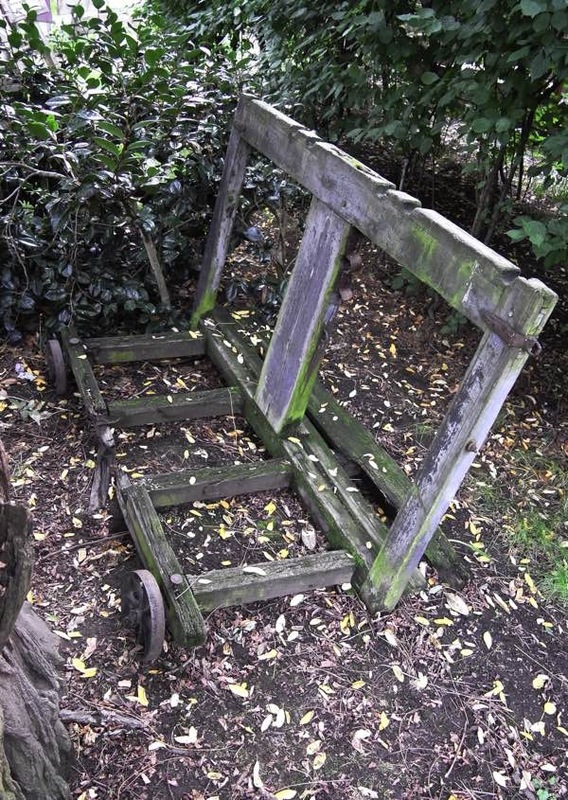 It was used at that time as punishment for violent assaults on prison officers. A doctor stood in front of the prisoner to observe and stop the procedure if there was loss of consciousness or signs of serious distress. 1962, not so very long ago. Even in at least the 1960s it was in the churchyard adjacent to Lower Clapton Road and one could see as one walked to the bus stop. These punishments are often laughed about, but it needs to remembered also that it was not uncommon for those condemned to them to be seriously maimed by the experience or, in cases where ‘the mob’ was especially disapproving, killed in the most awful way. Wow. So surprised that The Hackney Museum or the Museum of London can’t take this. Just sitting there in all weather – that just astounds me! An ugly reminder it may be but i hope it finds a home soon as it definitely should not be left to rot away in such a fashion. Wouldn’t the London museum want it? In todays political climate, Such things as this whipping post are not considered to be politically correct. In this case ,If I were closer I would call in and take it and put it away to at least stop the ancient timbers rotting. 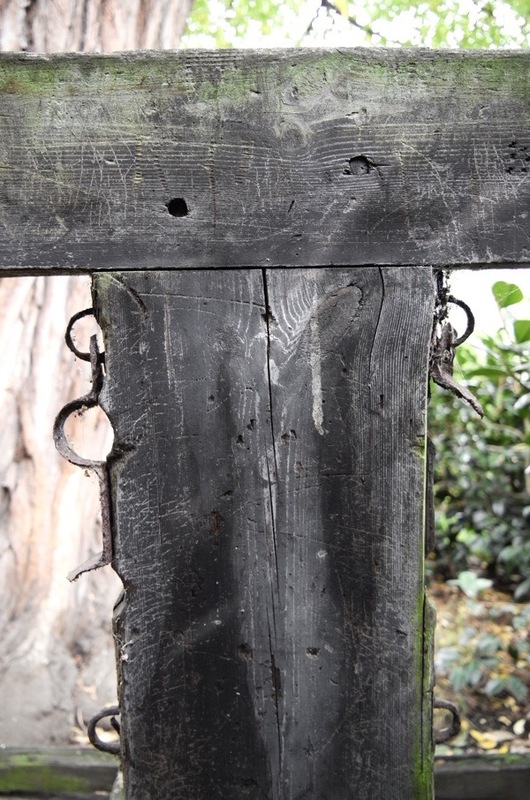 If the timbers are not the originals, I would say the iron work most certainly dates from the 1600′s. Surely it’s a listed artifact? On another note, it’s humorous to note that it was the Churches who commissioned them .Thankfully the Christian church has moved on from this type of Social control. At least one of my ancestors tasted the whip, a young Irishman named David Horan who was transported to new South Wales for the term of his natural life in 1835 .NSW convict records name his twice as receiving the “cat ” for insubordination .Whipping with either a whip or the cat o’nine tails was savage and thankfully no longer carried out in civilized countries. The obvious place for it would be the Hackney Museum next to the town hall and the library. It’s a lovely museum – small and friendly. The situation regarding this important Hackney artefact has moved on slightly. 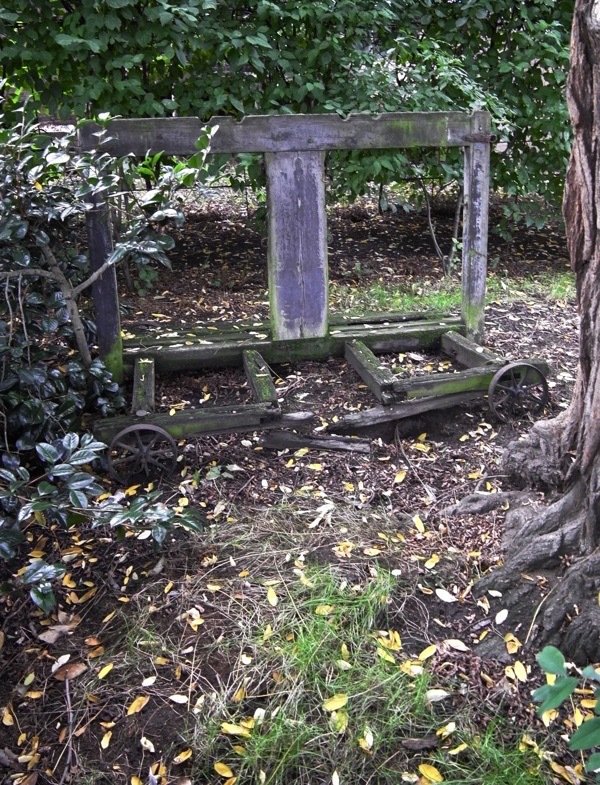 With the help of Hackney Council, the stocks have now been professionally moved to be stored at a Hackney Parks depot. There, safe and protected from the weather, they are drying out, ready to be restored. A conservator’s report had been prepared on what needs to be done to conserve and restore them to a state where they can be put back on public display. But before funding can be applied for to restore them, or commission work on them, it needs to be decided who owns them: the church or the borough. There is not enough room to house the structure in Hackney Museum, though the model Groundwork commissioned (pictured above) has been deposited with the Museum and is kept there in the storeroom. 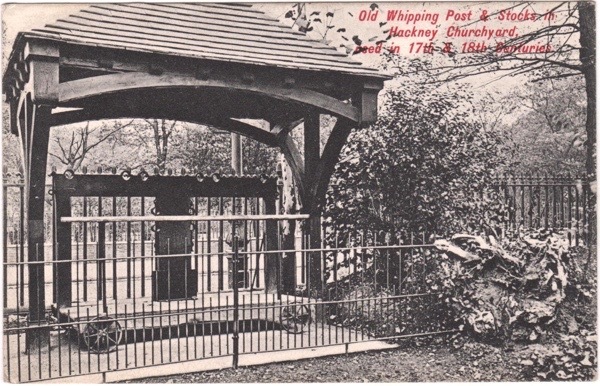 If you would would like to register your interest in the project to restore Hackney’s Whipping Post (or stocks), please get in touch with Sean Gubbins at sean@walkhackney.co.uk. No shortage of yobs nowadays who would benefit from a public flogging…just saying.